Saturday, April 27, 2019 6:30 A.M.
Are you ready to test yourself on the Toughest Century in Southern California? 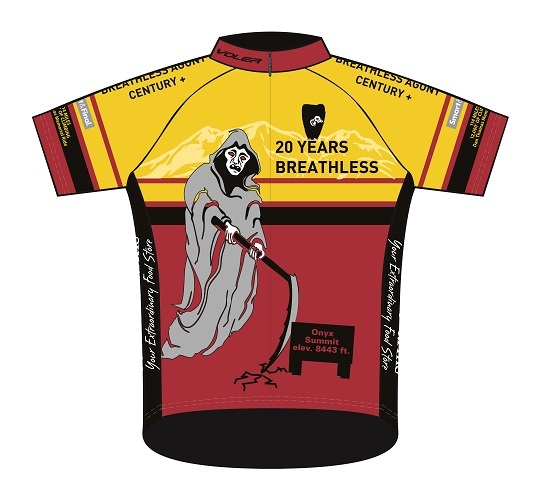 If you can complete all 4 Passes with 114 Miles and 12,000 Feet of Climbing, you will qualify to purchase the special Breathless Agony Century Jersey shown here. This high-quality sublimated jersey was designed by Tony Rodriguez, 4 Pass Finisher of the Breathless Agony in 2000, 2001, and 2002!! It will be manufactured by Voler Team Apparel. You have to complete the 4 Passes of the ride in order to qualify to purchase these special jerseys at the Ride Finish or later at the Kahler Cycling Academy in Tustin, thereby guaranteeing their exclusivity and prestige value. A big thanks to Tony!! Selected as "One of the Greatest Hillclimbs in America" by GreatOutdoors.com!! Bristol Farms provides the finest assortment and highest quality fresh and specialty foods from around the world - in a warm, friendly, and uniquely designed atmosphere with service and value that exceeds the expectations of their customers. Smart & Final is the smaller faster warehouse store where businesses and households find great savings on quality food and supplies. They have everything you need for cooking, entertaining and cleaning-up afterwards. 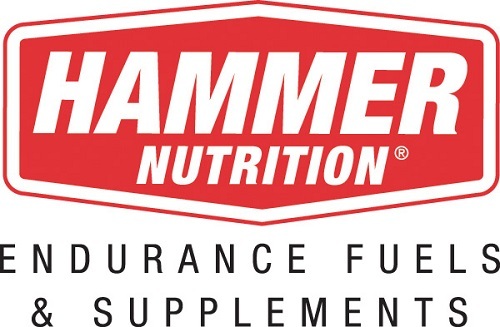 Hammer Nutrition provides unparallelled products, knowledge and service to health conscious athletes all over the world. Over the years the product line has grown from fuels & supplements to now include clothing, body care products, EMS units, accessories and more. Let Susan Tudor's team bring you back to life after the Breathless Agony takes your breath away!! Project Healing Waters Fly Fishing, Inc. is a volunteer, 501(c)(3) non-profit organization, initiated by members of Trout Unlimited and the Federation of Fly Fishers, that serves military personnel who have come home wounded or injured to aid their physical and emotional recovery by introducing or rebuilding the skills of fly fishing and fly tying, and by using and enjoying these skills on fishing outings and as lifelong recreation. While initially focusing on military personnel in the Washington, DC area, Project Healing Waters Fly Fishing has expanded and is offering its services to active military personnel and veterans in military and VA hospitals across the nation. Worker's Ride of 4/26/08 including photos of Thermonuclear Meltdown on Damnation Alley and the Eve of Destruction!! Worker's Ride of 4/29/06 including photos of Sheep on Jack Rabbit Trail!! Video interview of Scott McAfee shortly after setting course record of 4:37!! Mark your calendars: Be a part of one of the great rides of the year when the Kahler Cycling Academy Team takes your breath away on this ride!! This option heads out of Redlands to some great country roads. The first pass is Jack Rabbit Trail � one of Robert Kahler�s favorite climbs that reminds him of climbing on the backroads of France. You will be treated to Food Stop #1 in Beaumont before the beautiful climb up the second pass to the apple orchards of Oak Glen!! This climb is one of the toughest on the Redlands Bicycle Classic, an event that attracts teams from around the world. You will climb 1,690 Feet in 4.8 Miles for an Average Grade of 6.7%!! There are some pieces that are over 11.4% which will leave you Breathless for sure so bring your climbing gears!! The reward is an incredible 7 mile downhill to Food Stop #2 at the Mill Creek Ranger Station followed by another 7 mile downhill back to the park!! After completing the 2 Pass Option, fuel up at Food Stop #2 at the Mill Creek Ranger Station and then for some more challenge and beauty, climb up towards Onyx Summit to Angelus Oaks where there will be a Food Stop #3 waiting for you!! And don�t forget about the well deserved, long, smooth, and fast 18 miles of pure downhill!! After fueling up at Food Stop #3 in Angelus Oaks, continue up and up until you get to Onyx Summit, 8,443 Feet Above Sea Level. The clock stops at the top of the mountain in the Breathless Agony ... just like in a Mountain Stage in the Tour de France. It will be a great party with the Grim Reaper at Onyx Summit at 8,443 Feet. All 4 Pass Finishers will also receive a well deserved medal at the top. However, the riding doesn�t finish at the top: since the clock has stopped, you can take your time enjoying a fantastic and well deserved 42 mile downhill back to the Start / Finish at Sylvan Park in Redlands where you�ll have another party including a Burrito Fiesta Lunch all of which is included in the ride fee. Since this ride is comparable in difficulty to the Markleeville Death Ride, this is a Major Adventure for Supermen and Superwomen only!! NOTE: All 4 Pass Finishers are expected to ride their bicycles the 42 miles downhill back to the Start / Finish at Sylvan Park. Directions: All of the ride options begin and end at Sylvan Park in Redlands, only 45 minutes from the Kahler Cycling Academy in Tustin. Take the 91 East to I-10 and Exit at University St. Turn Left onto University St. then drive .2 Miles. Turn left onto Park Ave. and the Start / Finish Area will be in the Southwest corner of Sylvan Park. There is a Starbuck's Coffee Shop just 2 miles from Sylvan Park which opens at 5:30 A.M. on Saturdays. From Sylvan Park, go South on University under the I-10 Freeway and turn Right on Citrus Ave. Drive .5 Miles and turn right on Redlands Blvd. Drive .4 Miles and turn right on Orange St. Drive .3 Miles and the Starbucks is at 627 Orange Street. We need volunteers for Food Stops in Beaumont, at the Mill Creek Ranger Station, at Angelus Oaks, and at the top of Onyx Summit. Please sign up and support the ride!! Helmets are absolutely required -- no exceptions will be allowed. Check out the Route Profile to see where all the great downhills are!! Co-sponsored by Mr. Jill's Body Firm: "There is power in feeling great!!" Accept the challenge: Sign up today!! Will this ride be held if it rains or snows? What Support with there be on this ride and what is included? What Route Slips will be available? What about Signing in? What gearing do you recommend? Am I ready for this ride? How does the climbing on this ride compare to the Markleeville Death Ride? Should I use aero bars? Do you provide transportation from Onyx Summit back to the Start at Sylvan Park? What are the rules to get Ride Credit for this ride? 1. Will this ride be held if it rains or snows? Yes, the Breathless Agony Ride will be held whether it rains or shines. There are NO REFUNDS. It might even be snowing between Angelus Oaks and Onyx Summit -- the ride will be continue anyway (but we would not recommend you continuing unless you are extremely well prepared). 2. What are the Start Times? Please arrive early and be prepared to start between 6:30 A.M. and 7:00 A.M. You can start earlier than 6:30 A.M. as long as you checkout with the timekeeper but this may result in you arriving at the First Rest Stop before it is open. 3. What are the Cutoff Times? To complete the 3 or 4 Pass Options, you must begin the climb to Angelus Oaks from the Mill Creek Ranger Station Food Stop by 10:30 A.M. The Angelus Oaks Rest Stop closes at 1:00 P.M. and you must leave there before 1:00 P.M. in order to complete 4 Passes of this ride. The Onyx Summit Rest Stop closes at 3:30 P.M. and you must arrive there before 3:30 P.M. in order to complete 4 Passes of this ride. 4. What Support with there be on this ride and what is included? This ride will be fully supported with food / rest stops in four locations and with at least 1 roving support vehicle. 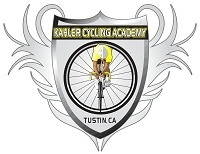 Both team and non-team members are welcome to volunteer to assist with support -- see Robert Kahler at Kahler Cycling Academy (714) 713-9557. 5. Will the Course be closed to traffic? This course will not be closed to traffic and will not have police patrolling the roads and intersections. The road surface conditions will be "terrible to excellent" depending on weather conditions prior to the ride. Traffic regulations must be adhered to at all times: Safety is our most important issue. 6. What Route Slips will be available? What about Signing in? Detailed Route Slips will be available at the start of the ride. There is a different Route Slip for the 2 Pass, 3 Pass, and 4 Pass Options. We would recommend you take the Route Slip for the longest Option you might want to tackle: the 3 and 4 Pass Options start with the same route as the 2 Pass Option. Sign in and sign out will be required prior to departure and upon return of all Riders. Please indicate which Pass Option you are likely to take (although you may go further if you so desire). 7. What gearing do you recommend? Unless you are a very strong climber, we recommend a 39x25 or 39x27 for the Oak Glen Climb. This climb is one of the toughest on the Redlands Bicycle Classic, an event that attracts professional teams from around the world. You will climb 1,690 Feet in 4.8 Miles for an Average Grade of 6.7%!! There are some pieces that are over 11.4% which will leave you Breathless for sure so bring your climbing gears!! In addition, the 3 and 4 Pass Options present some significant climbs -- the 4 Pass Option includes nearly 12,000 Feet of Climbing by the time you get to Onyx Summit at Mile 75!! Of course, Robert Kahler has a motto: "If you don't have a 27, you won't use it!!" 8. What tires do you recommend? Because Jack Rabbit trail is often rough, we recommend 23c or sturdier tires. 9. Am I ready for this ride? If you have been training regularly, then you should have no trouble completing at least the 2 Pass Option on this ride. Start out slowly, take your time, stop at the food stops, drink and eat enough along the way, and most of all work hard and enjoy yourself. However, the 4 Pass Option of this ride is a tough ride for serious bicyclists. Riding 114 Miles with 12,000 Feet of Climbing in one day is not easy! Onyx Summit is at 8,443 Feet so temperatures can be hot or very cold. You must be prepared and in very good shape! 10. How does the climbing on this ride compare to the Markleeville Death Ride? For both the Markleeville Death Ride and the Breathless Agony, the above miles represents the distance from the Start to the Finish for that Pass Option. From the above table, you might conclude that the Breathless Agony isn't nearly as difficult as the Markleeville Death Ride. However, you are missing a very critical difference: with the Markleeville Death Ride, you get some rests after each climb as you descend down the other side. The Breathless Agony is truly agonizing with most of it's climbing in the 30 miles from the Mill Creek Ranger Station to the top of Onyx Summit ... a "brute of a climb that just goes up and up." 11. Should I use aero bars? There are very few miles on this ride where aero bars will be of any use. In addition, aero bars are unsafe when used in pacelines and windy conditions. 12. Do you provide transportation from Onyx Summit back to the Start at Sylvan Park? The clock stops at the top of Onyx Summit at the top of the mountain or at the end of the last Pass that you complete. If you make it to the top of the mountain at Onyx Summit, you'll find a really fun party there. However, the ride finishes at Sylvan Park which is where the ride starts in Redlands. 90% of the riding from Onyx Summit is downhill. See the route profile. With the clock stopped, there is no need to hurry down the mountain. Enjoy the descent and use it to spin out your legs after all that work!! Sorry but we don�t have transportation from Onyx Summit back to the Start at Sylvan Park. 13.. What are the rules to get Ride Credit for this ride? 3 -- Leave the Angelus Oaks Rest Stop before it closes at 1:00 P.M.
4 -- Arrive at the Onyx Summit Rest Stop before it closes at 3:30 P.M. It is possible to start earlier than 6:30 A.M. as long as you checkout with the timekeeper but note that Rest Stop 1 in Beaumont at mile 27 doesn't open until 8:00 A.M.
Before 2006, there was a growing tendency for riders to stop riding at Onyx Summit and ride in a vehicle back to Sylvan Park. Starting in 2006, this is no longer allowed. You need to ride your bike the full 114 Miles all the way up to Onyx Summit then all the way down the mountain to the Start / Finish at Sylvan Park in Redlands. This is a 114 Mile Century ... it's not a 74 Mile ride taking you to the top of Onyx Summit where you load your bike into a waiting vehicle and drive down the mountain. The clock stops at the top of Onyx Summit because we want the timing to be like the Mountain Stages on the Tour de France like Alp d'Huez and because we want you to enjoy a nice easy downhill with no time pressure to descend quickly or unsafely. The Breathless Agony Century is a 114 Mile ride and we want you to get your money's worth! !